The following group types are not accepted by this hostel: Holiday with Friends, Junior / Primary School, High / Secondary School, Business Trip If you have misrepresented the type of group you are booking for, your booking may be cancelled by the hostel." The Backpacker’s Burrow is nestled among lush greenery and blue mountains. 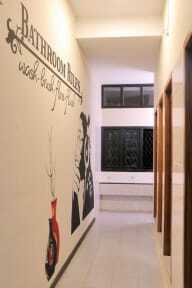 It offers a variety of dormitory options. 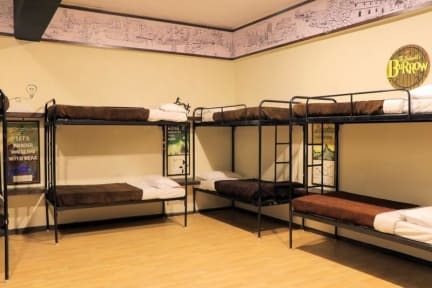 Backpackers Burrow offers multiple options of accommodation from a shared dorm, women's dorm, a mixed group dorm and two private rooms to make your stay more pleasant and optimized. This is what backpackers are all about.Charming and well appointed without being overbearing. Great stay despite the bad weather we had. Nitin was nice, good communication and local tips. Rooms were intimate, bright and simple with an overall happy vibe. Was lovely to sit on the sofas outside the room eating nibbles while watching TV. Was worried about my drink but then hopscotch helped me out. Was wonderful having my favourite mock tails at the bar. Also loved the events in the pub at night. It doesn't have a hostel feeling as it is part of a hotel and the hotel is the front face,as compared to other hostels across, but otherwise it's a good place for backpackers. The location is pretty good. The beds are clean and good value for money. The location is not much reachable from Coonoor bus stand/town. Apart from that, no one knows about "Backpackers Burrow", but "Hotel Vivek". The way the stay being setup was really good. Just that the bed sheets and blankets where really dusty which screwed up our sleep. Hot water was not available at the washroom and hence we where asked to use the a bathroom in a different room. The property is really worth the money but the housekeeping could’ve been much better. It's a hostel, not a hotel. Also you have to go another room for taking shower. Could be worth if the price was 150-200Rs.